Heide Friedrich leads the Water-worked Environments Research Group (water.auckland.ac.nz). She is also the Deputy Head Research in the Department of Civil and Environmental Engineering. She has over 15 years’ experience, both in industry and academia, having worked and lived in Germany, Taiwan, UK, Australia and NZ. Her main research focus is on studying the physical processes in natural aquatic environments, such as rivers, and how water interacts with and shapes its surroundings. She has been involved with the Rivers Group since 2014. Kyle is an Independent Consultant with over 15 years’ experience in River and Stormwater Engineering. He has a Bachelor of Natural Resources Engineering as well as a Masters of Engineering specialising in the interaction of river control works and morphological processes in river systems. Kyle is a Chartered Professional Engineer and a practice area assessor for Engineering New Zealand. Kyle is passionate about integrating geomorphology and engineering in the development of long term sustainable solutions for river management. Jo has a PhD in river geomorphology and a natural resources engineering degree. Jo worked as a river engineer for MWH in the Tasman District prior to completing her PhD at Macquarie University in Australia. She has spent the past 10 years working for NIWA in Christchurch, where she manages the Sediment Processes group. Jo’s research focuses on how river geomorphology influences river ecosystems, and feedback relationships between flow, vegetation and geomorphology. Her current research is focused on braided river systems. Jo is also a keen whitewater kayaker and spends much of her spare time playing in rivers. Graeme’s experience in the field of river and floodplain hydraulics has included extensive studies of computer modelling of flood extents, river characteristics, sedimentation, channel management, risk and damage assessment, planning and project management. He has personally undertaken design and investigation work on rivers and floodplains in Bay of Plenty, Poverty Bay, East Coast, Hawkes Bay, Wairarapa, Wellington and the Kapiti Coast. Since 2006 Graeme has been the Manager of the Flood Protection Department, Greater Wellington Regional Council (including both the Wairarapa and Wellington Flood Protection staff). Laddie is a partner in a civil engineering consultancy based in Christchurch. As a chartered engineer with interest in a stochastic approach to hydraulic problem solving, he has worked both in-house and as a consultant for numerous regional, unitary, and district authorities around the country to help overcome challenges we face in the sustainable management of our rivers. He’s been involved in floodway and flood hazard mapping in North America, wastewater design in the Arctic, closed-channel optimization on Canada’s east coast, and hydraulic project management throughout the Middle East. Laddie has been with the RG committee for a number of years now and currently serves as our treasurer. Brian has over 40 years experience as a professional engineer, 28 of which were with MWH. During his time with MWH he had direct involvement in Company’s river engineering and drainage programmes, flood risk assessments, water management and water resource studies, water supply projects, and environmental assessment reporting. During his career he has been directly involved in a range of Engineering New Zealand, NZ Hydrological Society and Water NZ activities and roles. Brian is currently Director of Sustainable Futures NZ Ltd which is an environmental engineering consultancy company which provides advice on a range of water sector projects across NZ Asia and the Pacific. Before retiring from MWH NZ Ltd he was the Company’s water sector Technical Leader and led a number of Climate Change Adaptation Projects with an emphasis on infrastructure adaptation.During his time as Deputy Chief Engineer for the Manawatu Catchment Board he was responsible for the river and flood control scheme reviews being undertaken at the time along with the associated ratepayer consultation programmes. As Regional Water Manager he also provided technical direction for the Board’s surface water and groundwater resource investigation programmes. As a consultant, he has project managed a number of flood control programmes, water resource development schemes, and climate change adaptation training programmes across New Zealand, Asia and the Pacific. His more recent work has included working as part of the Global Support Facility (GSF) team for the Global climate Change Alliance (GCCA) programme being undertaken by the European Union throughout Asia and the Pacific. This work has focused on the development of climate change adaptation policies, projects and programmes for the participating countries. Sarah is a Water Resources Engineer at Tonkin & Taylor in Auckland. Sarah’s 8 years’ experience is in river engineering, with a focus on flood hazard identification and assessment through hydrological and hydraulic analysis. Sarah’s experience ranges from hydrological and hydraulic modelling for urban and rural rivers, streams and stormwater systems, to design of flood protection schemes and erosion control works. It also includes assessment of sediment and gravel movement and their effects on channel capacity, as well as flood damage assessment and flood risk analysis. Sarah has been a member of the rivers group since its inception in 2009 and has recently joined the committee. Selene is a fluvial geomorphologist at Tonkin & Taylor based in the Tauranga office. With over eight years’ experience, Selene specialises in geomorphic condition assessments of waterways, evolutionary trajectory assessments of river systems, compliance monitoring and development of prioritisation frameworks for river restoration in both New Zealand and Australia. Selene’s focus has been on combining catchment and/or reach scale geomorphic processes with vegetation dynamics, especially in modified landscapes. Selene has been a member of the Rivers Group since its inception, and recently joined the committee with a focus on developing and delivering regional events. Will has spent the last twenty-five years implementing project-based work at the interface of geomorphology, engineering, and ecology. He has worked for indigenous and federal government agencies, an NGO, universities, and as a private consultant. He is presently a full-time PhD candidate with Massey University’s Physical Geography Group where his multi-scale morphodynamic investigation of unconfined coarse-bedded rivers in the tectonically-active Wairarapa region will assist data-driven flood and erosion hazard management in the North Island’s Ruamahanga catchment. Prior to initiating his PhD, he conceived and spent 17 years supervising a catchment-scale restoration program in Washington State (USA) where he completed several dozens of assessment and construction projects addressing floodplain connectivity, aquatic habitat and passage, channel migration, and fluvial effects of linear infrastructure (roads/railroads). Highly experienced in grade IV/V whitewater and rescue, he also has 19 years of all-hazard emergency response and management as a part-time firefighter. Will joined the Rivers Group Committee in mid-2018, co-organized the 2018 annual conference/symposium, and presently serves as the student liaison. Trevor has been involved in monitoring and management of river water quality and aquatic ecology for almost 27 years. He has authored many State of the Environment reports and produced a communications plan and widely acclaimed video on these topics. In addition to running Council’s River Water Quality, Freshwater Fish, Estuary and Bathing Water Quality Monitoring Programmes, and advice to resource consent and resource management planning (including collaborative governance groups) he has been very active in organizing events to raise awareness of issues facing our waterways.  He has been on the organizing committee of two Freshwater Science Society conferences (chairperson for one of these), organized and presented at over 35 public events in Tasman District the last 15 years on river health. For Council’s wetland mapping and protection programme he facilitated and presented at a series of seven, often heated, meetings with wetland owners. In the last 18 years he has developed programmes for assessing fish passage at in-stream structures on a regional scale. He was chairperson on the organizing committee of New Zealand’s first conference on fish passage in 2013. Every year for almost the past decade he has run a programme to remediate on almost 100 fish passage barriers per year. In 2016 he organized and presented at the opening of World Fish Migration Day, in Richmond. Verity is a geographer and civil engineer currently working at Canterbury Regional Council based in Christchurch as a Senior River Engineer. Verity’s 15 years of experience is in flood and coastal risk management, river engineering and asset management, in England and New Zealand with local authorities and a government body. Her current focus involves overseeing gravel extraction across the Canterbury region as a method of managing flood and erosion hazards. Verity has more recently started to experience the recreational values rivers have to offer by completing a beginner’s white-water kayaking course. Verity has been a member of the Rivers Group since 2016 and has recently joined the committee. Jon leads the Investigations and Design team at Horizons Regional Council. He holds a Masters of Civil Engineering and has an interest in Environmental and Open Channel Hydraulics. Jon has over 10 years of professional experience in river engineering; with a focus on hydraulic modelling and the design of flood protection and erosion control works. He is passionate about working with rivers to deliver sustainable solutions to meet the needs of society. Philip Wallace, DHI Water and Environment Ltd.
Philip Wallace is a Principal Engineer with DHI Water and Environment Ltd., specialising in flood hazard modelling and investigations. He has over 30 years of experience in river engineering , river modelling and in floodplain management policy. Previously he has worked for the Wellington Regional Council, the Bay of Plenty Regional Council, the Wellington City Council and a range of consultancies. During his career, he has developed models for many river systems throughout New Zealand. He holds a BE (Hons) degree in civil engineering from the University of Auckland and an MSc (Hons) degree in resource management from the University of Canterbury. As well as having a professional fascination with rivers, he values the role that river environments have as places of beauty and recreation. Edwin is a Post-Doctoral Research Fellow at the University of Auckland, having recently moved to New Zealand from Europe where he held academic research positions in both the UK and France. His current research interests include understanding how rivers respond in the aftermath of extreme events (e.g., storms/earthquakes) and how interactions between flow hydraulics and sediment transport processes come together to control the morphology of rivers. He can be found either in the field or in the laboratory, where he uses flume experiments to investigate the physical processes occurring in natural settings in a controlled environment.